OK, first, let's agree: It would be so lovely if labels to describe our kids didn't exist. But the terms aren't going away. Next! What's the best way to describe those with cognitive impairment? Plenty of people still use the term "mentally retarded," including medical professionals and even parents of kids with special needs. After my video Would You Call My Child A Retard? came out, I got into arguments with parents who insisted that "mentally retarded" is the correct terminology because, after all, their children are "mentally retarded." "As the words 'retardation' and 'retarded' became pejorative, derogatory and demeaning in usage, the organization changed its name. Now the fifth edition of the Diagnostic and Statistic Manual of Mental Disorders (world's catchiest title!) is in the works, and a group of experts are pushing for the term "mental retardation" to change to "intellectual developmental disorder." Meanwhile, The Arc and the American Association on Intellectual and Developmental Disability are against it; they'd prefer "intellectual disability," the term the government and many others are going with. To me, "intellectual developmental disorder" sounds vague—and not something that would seemingly apply to an adult. Also not a fan of "disorder." So of the two, I prefer "intellectual disability." But I so wish there wasn't a "dis" in either one of them. Wouldn't it be great if there were some term that emphasized our kids' abilities? I sometimes like to say that Max has special powers, but that won't be making it into a manual anytime soon. I've always loved "differently abled." Also not a clinical term, to be sure—but definitely an empowering one. How about you: Which term do you prefer? I just looked up the definition of retard. The description of the word fits what one might think is the core ailment. Unfortunately, society has caused the word to become negative and offensive. This is not a word I use, or that I would allow my kids to use. Not having a child with any mental ailments, I would love to be able to use a word that was acceptable and yet didn't come with the heavy negativism that retard does to educate my children. Thank you. I have to express the minority view here. I don't have a problem with "mental retardation." I see the term as a medical term which describes the condition: slowed mental development. It also has the merit of not having the "dis" that you don't like, neither disability or disorder. And let's not forget that "mental retardation" was adopted in the first place to replace the archaic terms "imbecile, moron, idiot," in an attempt to use a term that WASN'T pejorative! To me, it's simply a medical term that has been inappropriately appropriated by mean spirited people. OK, one of my sons has schizophrenia. Should we strike the term "schizophrenia" from the DSM because people use "schizo" as a pejorative term? He's psychotic. 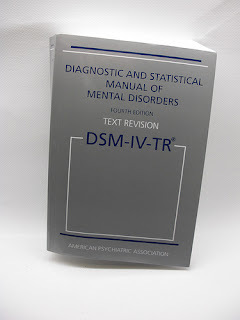 Should we strike "psychotic" from the DSM because people call other people "psycho?" My kids with cerebral palsy have spasticity. Should we strike THAT medical term because people use "spaz" to make fun of others? I think the problem is NOT the medical term. The problem is that our society has abandoned all standards of respect and courtesy. Look at what passes for "comedy" on TV: 90% of it is insults and put-downs. Look at the level of vitriol online. When you posted your video (I think it was on CNN), the vicious comments turned my stomach. To those mean-spirited posters, the word doesn't matter; they will always find a way to be cruel. In my opinion, our focus shouldn't be on a word, but on raising kids who respect others and accept differences. I'm sorry to go on so long, Ellen. I always appreciate your discussions here. Galen Im with you on the problem isnt the word but I dont think society has abandoned all respect and courtesy either. I agree with you. We are knee-jerking our way through the maze of meaningless categories, instead of developing a respect for all parties. Let's stop playing games with using new names hoping the old ones will desert the tongues of those who will continue to demean anyone considered lesser than they are. Hmmm well there is something wrong, so I don't see a problem with using 'dis'. I was going to suggest 'challenged'...cognitively challenged or developmentally challenged. Then I read Galen's comment. She makes some powerful arguments. "The problem is NOT the medical term. The problem is that our society has abandoned all standards of respect and courtesy." Well said! Thanks for the informative post, Ellen. I largely agree with Galen. If you look at the history of the disability and labeling of mental retardation, you would realize the main reason that I want the label to stay the same. Well expressed, Galen, thank you for putting some order to my own thoughts. Another thought occurred to me about how words are used. I would never call someone a "retard", but "retarded" is a little different. A noun is a label, an identity, a name, the be all and end all. An adjective, used without mal-intent in pure-hearted conversation (not for labelling your friends when horsing around) is just one descriptor. Tall, near-sighted, fair-skinned, quick-witted, pale, etc. Personally, I would use "developmentally delayed", but is it any better? I'm always worried that the thoughts on a specific word have shifted (for the reasons given by Galen) and that I'll inadvertently offend someone. I love your blog and the subjects you inspire us to discuss. I'm with Galen on this. I see the problem with our society not in the words we use but how we use them. I have a family member with Down Syndrome, and we have always used the term "mentally retarded" in the most clinical, descriptive way. I'm very used to it and comfortable with it used as such. I have spoken up when I hear folks throw around the term RETARD in the pejorative sense. I was heartened to see you, Ellen, do the same. When my sister-in-law was born, the term was Mongloid. My mother-in-law was part of the "movement" pushing for the use of Down Syndrome instead. Now we have a comedian who uses the phrase "Downsy" in a negative sense. We can chuck "mentally retarded" but it will just be replaced by another phrase that certain people will co-opt as a pejorative. I would rather put our efforts into making it known that it is UNACCEPTABLE to make fun of people with mental, physical, and psychological challenges. And for all the talk (which I hear frequently) about TV comedy getting worse in its cruelty, well, that is probably true on cable channels but in mainstream comedy we are much more humane than TV shows in the 50s and 60s. It was customary for comedians to not only make fun of those with mental and physical challenges, but to sadistically lampoon alcoholics, the overweight, racist jokes, and physical appearance, not to mention women drivers… I do believe we are a progressively more humane society and must be diligent in continuing in this direction. I have to express the minority view here. I don't have a problem with "mental retardation." I see the term as a medical term which describes the condition: slowed mental development." What about cases of static encephalopathy, though? When there is no slowing, merely a (nearly) complete lack of development, such as my son has. If the development lies at less than the equivalent of a one year old, there is little use for "retardation", since there is nearly absolute mental diminishment, just shy of catatonic. Perhaps these terms can only be used for the majority of cases, requiring "catasrophic intellectual impairment" for a small subset or as I prefer, extremely physical and mentally compromised children. Galen, I always appreciate your take. Now, of course the words aren't the problem; insensitivity, ignorance, misunderstanding of our kids and, on occasion, cruelty ARE. I'd hope that people would bring up their children to be respectful, open-minded and inclusive. That said, I have always loathed the term mental retardation and since it's taken on such an awful connotation, I am more than happy to get rid of it. The word "retard" is rampantly used in this country as an insult or a tease in a way that schizo and the other words you mention aren't. And that word keeps right on perpetuating the idea that kids with intellectual disability are stupid/losers. You may remember the time I spent a few days on Twitter following the use of the word. It was disheartening. The words "mental retardation" also encourage discriminatory practices in medicine. Do you remember the story I covered about the girl denied a kidney transplant because, the doctor told her parents, she was "mentally retarded"? Totally antiquated point of view but back in the day, those with "mental retardation" were considered lesser human beings. And that term is still being used to keep kids with ID down. I am not naive; of course if the term goes away, haters will find other words to use. And of course, even if "mental retardation" is booted out of the DSM, the word "retard" will continue to be widely used. But for what it's worth, I say, good riddance. It has become such an awful term. I would never, ever call my son mentally retarded. It demeans him. Anything I can do to pave the way for him, I will. In speaking out against these words, we get a conversation going that's not just about etymology but about RESPECT! I like different abled but if I've ever used it, people say different from what? The fact is everyone is different. I do find it a much better term than special needs. What's special about any of the challenges "differently abled" people face. Some prefer terms like mobility impaired over disability. Hmmm cognitive impairment? I don't like using "intellectual" paired with anything. In a world that pursues intellect, for some reason it sounds like just a fancy term for stupid, like there is no intelligence whatsoever. People with cognitive impairments (for lack of a better phrase) should never be considered stupid. Often there is more there then we know. Often they are the ones teaching us. I wonder if anyone has ever asked them what term is acceptable. I can see Galen's point, but can't get over the pain in my heart when I hear the words "mentally retarded." We could talk all day about how it's a clinical, technical term, but the fact is, it's become a phrase commonly used to hurt people and it means something else, other than just clinical, to the rest of the world. The problem with changing the wording is, it's just a matter of time before the comedians, and kids on the playground, are calling each other "developmentally delayed" or whatever term we decide to use next. I use the term "Developmentally Delayed" with my daughter because it means to me that there is progress being made - learning is just at a slower pace. I agree that some members of our society have become cruel in using the word "retarded" which just shows their ignorance. I really like "differently abled." Great post Ellen. We use diffability, we all have different abilities, and we all have a diffability. Some of our diffabilities may be easier to see than others. Unfortunately, until things change about how we as a society perceive individuals with more obvious different abilities, whatever word is chosen will eventually replace MR, as we have seen historically with other words used to describe people that have been labeled. The more inclusive we become, hopefully people will change the way they view people who move or communicate differently, and whatever word is used won't be used perjoritavely. i'm for cognitive impaired. and i don't know what the criteria is, but i this it should only be on iq. speech impairment or social deficit or mobility impairment or learning disability. First, I do not agree that "retarded" is used any more [or less] as a derogatory slur than schizo, crazy, psycho[tic], bipolar, obsessive-compulsive and other clinical mental illnesses are, they are just used to mean different things. If you need proof, follow the comments section of any news story on a violent crime; people are always stating the perpetrators are crazy, psycho, and so forth. Or watch a conversation surrounding something odd, eccentric or incredibly daring someone has done: that person is usually called crazy or nuts. Or the way bipolar is tossed around to describe anybody who is moody or obsessive-compulsive to describe anyone who is neat. Truly pay attention. People, on the whole, associate the words crazy, psyco and bipolar with violence and unpredictability, which furthers the stereotype that those who suffer from mental illness are (You mentioned Twitter -- track the words crazy and psycho for a bit and get back to me). Just like the word retarded does for those with cognitive impairments. You are just more prone to notice retarded more due to your own personal experiences. Second, while I understand these words have become derogatory, as has been pointed out, so will the next one. This is because it is not the word that is fueling the hate and discrimination -- it is the attitudes. Mia was not denied a kidney transplant because of the word; she was refused the transplant because the [awful] attitude of the physician was that the condition diminished her value (those with mental illness, by the same, are frequently denies transplants, too). Retarded was just the clinical word on the forms. If it was changed, that word would only take its place. It is not the word that demeans; but the intent and meaning projected onto it by those who misuse it. And so on. Thus, while you can change the word, you are only buying time until we are back at the same place with that new word being called to be stricken out. The solution is not to change words -- it is not change attitudes. I disagree. I think the word retarded is too broad to begin with. Retarded in what? Very few people are retarded in everything. What about those actors with Down Syndrome? They are not retarded in their ability to act, are they? They are professionals. I do not think that the word itself is a diagnostic word. The word itself means slow and should only be used as a descriptor. Diffrabled - differently abled ? I think "differently abled" sounds very babyish and infantilizing towards children and adults with developmental disabilities. The words may change, but the biggest problem is the stigma. I have lived through Moran, Imbecile, Feebleminded, Retarded and most recently Developmental Delayed. Each name eventually acquires a negative meaning for some. I like challenged children and then challenged adults. I have just started a Pinterest Board of that name: http://pinterest.com/Emotfit/and have repined lots of you pins and will be repining more. Just realized how fat children are challenged in our society. And am going to look for some pins about that. Anyway, it is he stigma we must all fight and being out there with your story is the pathway to fighting stigma. Thank you. I think I mainly disagree with Galen's final argument of letting the term stay the way it is. While I might concede to the argument, that the problem it isn't the word, that it is society, I do not understand why this matters. Shouldn't society be cognizant of this fact and realize that it needs to change things? There are many many words that have been changed because of how society reacted. The fact is yes, that people will use a term poorly and be mean and hateful, with no consent from us, but what are we accomplishing by continuing to use it ourselves? Think about the terms, medical terms mind you, that have been used to describe women, people of non-European decent, people with different a sexuality, etc. As society we should understand that these words might be used for the wrong purpose and should be able to adapt, I think. It feels like to me we are giving this word some special privilege, or even equal standing with the well being of society. Yes, we need people to be nicer, and we should raise children who will be understanding/accepting. I don't think deleting this term would be stopping us from doing that either. Erika, if you'd like to see how rampant the word "retard" has become, follow that hashtag on twitter. And while I agree that the goal is to change attitudes and hopefully reduce the stigma, there's obviously not just one solution there—there are many. I think that speaking out against a term that bothers me and many parents is one way. I've said before this isn't just about changing a word, it's about starting a conversation. Chaney, yes, it's such a broad term, but a lot of these are. I have, actually. Though I don't blog, I participate every year in Spread The Word To End The Word in the ways that I am able, including when they hosted their Twitter campaign (made a Twitter account just for that, in fact). My argument was not that retarded is not used as a slur frequently, as it absolutely is; my argument is that crazy, psycho, etc are used just as much and not in any better context. And, for that matter, those with severe mental illnesses are just as marginalized and disabled. Every day, reading blogs, listening to conversations, reading the news and news comments, etc, I hear people refer to things as "crazy" that are not mental illnesses or, if they are, are referring to the illnesses in a way that is derogatory or misleading (ex, associated with violence). I brought up Twitter specifically because I knew you had advocated using it -- if you are going to make such a claim, at least go truly see for yourself. Alternately, you could take a day and count every time you hear the word crazy, psycho, etc misused. You would be shocked. As noted, you are absolutely free to advocate changing a term and I would not protest it if it were changed (the Developmentally Delayed persons I have worked with would certainly benefit, in the short term) -- I just don't agree that it will truly fix anything and, in some years time, we will be back here fighting for it to be changed again, just as it has multiple times in the past (retarded is certainly not the original term). As such, true change will come from changing attitudes, not changing terminology. Only when people recognize those with disabilities as being fully equal, fully deserving and see them as needing to be integrated with all will progress occur. "I've said before this isn't just about changing a word, it's about starting a conversation. " Absolutely. I 100% agree with this. If we don't talk, nothing will change. Sorry about all the typos. I've had a round of mild seizures over the past few days, leaving my mind a little less than its best. Although many people have provided a reasonable argument of NOT changing "mentally retarded" I too cringe every time i hear it. I was shocked the first time i heard this as a medical term, as i never thought it would possibly be used by professionals. (and many times they also seem uncomfortable using the term). I would be happy to see the "retarded"/ "retardation" disappear. Mental disability, Mental impairement, Intellectual Disability or Intellectual impairment would all be fine. "Intellectual development disorder" souunds like something that a person would grow out of and really doesn't fit. Hi Ellen. This argument will go on and on. Any pejorative term is wrong. It's bullying and ignores the folk it might correctly describe. I flinch when folk throw 'retard' into a conversation and do now speak up that, because of Ashley, I'm offended by the way they have used the word. Someone has beaten me to it by pointing out that idiot, moron and imbecile were clinical descriptive terms as is/was 'mentally retarded'. It's not the word, it's the way it's used. At the moment we use developmental delay as a description for my son. It acknowledges that he isn't where he should be and so far is too much of a mouthful for the nastier people to use as an insult. Hi. My daughter has been diagnosed with moderate mental retardation. All of her life when asked what her disability is we tell them exactly what it is. I have no qualms about using the words moderate mental retardation ... it's what she is. However, to Galen's point, it's the use of the word by much of our society that is out of control. To find a different word to describe your child should be an individual decision. Otherwise, this debate and discussion will occur again and again as histroy repeats itself. I am a parent and elementary teacher and currently I hear developmentally delayed. This doesn't make my skin crawl as some labels often do. I agree, that's far better for a child. Someone left a comment on Max's Facebook page that said, "It has always been referred to as intellectual disability here in Australia. The term mental retardation is not used at all & is considered rude & degrading." My suggestion is SASP, acronym for special abilities - special powers. Interesting thought .. because may see dyslexia and dysgraphia and intellectual disabilities.. when they are not.. so then we would need a chain reaction.. ( because there is no difference in their IQ just in HOW they learn make sense?) so then people who see LD as intellectual disabilities would then have to be reducated. Slowly it is happening ( My kids are NOT allowed to use the term mentally retarded as a slur).. Specially abled because everyone can do something, like my animal behaviors recognition or Max's ability to win hearts and chocolate ice cream. At the end of the day, whatever term is used will become misused in time. The big term with high schoolers is "mental" right now. I have 18 year old twins/so I hear what the kids are saying. So go on and change the word, IT WON'T MATTER. Look at the words from the bigone eras. They were specific medical/psychiatric labels based on IQ and ability that became misused. They change labels and then the new label gets misused. You can't control what the world does, how about not cringing and just standing proud regardless of how people use a word. If someone has Downs maybe that should be their "label." The thing is, someone with Downs is automatically assumed by most people to be MR so who cares? I personally hate developmentally delayed. Delayed but are they catching up and will they reach the same abilities of the average person without? That label is a straight up misrepresentation of the condition in my opinion. Intellectually disadvantaged with its catchy "I.D. "..yeah, I.D. will replace "retard" in the general public as a misused term. Its catchy and easy to say. There will always be mean-spirited people in the world. Language will always be colorful with words' being misused. Why not accept the word for what it REALLY is from a medical standpoint and not care what the "world" thinks, does, etc. I work with the Mentally impaired as I call them for a job in college. The correct term nurses and doctors use around me IS in fact mentally retarded. However, they abbreviate it to make it less offensive and say phrases like, "has MR." Unlike most people, the medical field and direct support services like me here this term nearly everyday. I hear MR and know what it means and don't think any differently. It is here to stay. I do not get easily offended but some people do. The important thing is to stay professional and not snicker or laugh or the correct term. Don't let the haters win. While we are on the subject, I would like to ban all PR. Again, it is a old fashioned term used to describe/offend those with physical disabilities. You may/may not wish to look it up. Alternatives to the word MR are learning disabilities, intellectual delays or cognitive impairment. Alternatives to the word PR are physical disabilities, physical impairment or physical delays. Hi. I'm an autistic adult. I use the words developmentally disabled to describe myself. Many of my fellow autistic adults also choose to identify as disabled. MR/PR are offensive words. At the same time, many words used to avoid the word disabled, like differently abled, diffability, mentally impaired, etc are either condescending or outright offensive. I would say, just find communities of disabled adults and see how they refer to themselves. There is NOTHING wrong with being developmentally disabled (or with being disabled in any other way, for that matter). Respect the choices of the people you speak for. Color me stupid, but I thought "retarded", or "mentally retarded", was one specific form of disability. I've never thought someone with Down Syndrome was "retarded", nor someone with Autism as "retarded" either, or anyone with CP was "retarded".